Welcome to the Beta Project English language arts website. The Beta Project is a collaborative effort between the Arizona State University Education Partnerships initiative and the Mesa Public School District. This website was designed by graduate students in English 606: Advanced Studies in English Education and continues to be developed and enhanced through a shared effort among the ASU English Department, ASU College of Education, ASU Office for Education Partnerships and Mesa Public School District. The goal of the Beta Project Website is to provide a continually expanding, exciting, and innovative website with a treasure of resources for the teaching of English language arts. This site was designed by veteran classroom teachers who understand the demands of the teaching profession. Our goal is to offer useful and comprehensive teaching resources which are immediately accessible for the classroom. All of our resources are teacher tested and student approved. Because the Mesa teachers are a rich and proven source of fantastic lesson plans and classroom activities, we are providing a sharing space to incorporate their ideas into the website database of lessons, as well. Through this collaboration, we intend to build an exemplary resource for English language arts instruction. Many thanks to Elle Wolterbeek, Kim Geis, Kristina Bybee, Corrine McCawley, C. Brian Taylor, and Tricia Sindel-Arrington for pioneering this effort, with special thanks to Brian for his design and to Elle Wolterbeek, Erika Watt and Bruce Matsunaga for their work on the website. James Blasingame, Jr. is coordinator of the English language arts effort of the Beta Project and one of the co-directors of the Mesa Writing Project. Dr. Blasingame is an associate professor of English at Arizona State University, where he teaches ENG 480/507: Methods of Teaching Writing and ENG 471/540: Adolescent Literature and supervises student teachers. Before coming to ASU in 2000, he spent twenty-four years in secondary education including: three years in high school administration at Interstate 35 High School (Truro, Iowa), and Bishop Miege High School (Shawnee Mission, Kansas); eighteen years in English education at Girls and Boys Town High School (Boys Town, Nebraska); American Fork High School (American Fork, Utah); and Dowling High School (West Des Moines, Iowa). James has served as co-editor of NCTE’s The ALAN Review since 2003 and has created the Books for Adolescents pages of the International Reading Association’s Journal of Adolescent and Adult Literacy since 2002. He is the author of Books That Don’t Bore ‘Em: Young Adult Literature for Today’s Generation (Scholastic, 2007), Gary Paulsen (Teen Reads: Student Companions to Young Adult Literature) (Greenwood Press 2007), and Teaching Writing in Middle and Secondary Schools (Pearson, Prentice-Hall 2004). He has also published over 50 interviews with poets and authors of young adult literature and over 100 book reviews in VOYA, Journal of Adolescent and Adult Literacy, The ALAN Review and English Journal. Dr. Blasingame creates the annual Honor List of young adult literature for English Journal along with Dr. Alleen Nilsen and Dr. Ken Donelson. 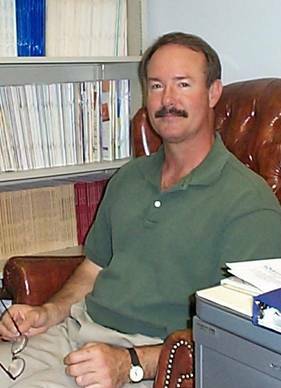 Dr. Blasingame is president of the Arizona English Teachers’ Association and was the recipient of the 2007 Arizona State University College of Liberal Arts and Sciences Distinguished Teaching Award for the Humanities and one of eleven ASU professors to be given the 2007 Arizona State University Parents’ Association Professor of the Year Special Recognition Award.